The position of the pelvis when in dorsal lithotomy places the birth canal at an angle that actually makes the baby travel upward. There are many texts and articles that cite this position as the “gold standard,” suggesting that it is the most widely used and, therefore, the most satisfactory position for second stage. However, the reason dorsal lithotomy has long-been considered “most satisfactory” is never delineated. In fact, many well-known books, such as Human Labor and Birth by Dr. Harry Oxorn, suggest that second stage dorsal lithotomy positioning is the favored position because it is easier for the attendant to access the birth canal and perineum, and take care of any complications that may arise. This doesn’t necessarily prove the position as the most satisfactory for maternal outcomes. When a woman in is the quadruped (hands-and-knees) position, she has many advantages on her side: For one, the birth canal curve is in a downward orientation, allowing gravity to aid in descent of the baby—promoting a gentler passage rather than a forced upward journey that involves significantly greater pressures and level of effort for the mother. Secondly, the woman is able to sway side to side as well as flex and extend her spine to aid in pain/discomfort during and between contractions. Similarly, quadriped is a favorable position when sacroiliac joint dysfunction, pubic symphysis dysfunction, coccydynia, spondylolisthesis, discogenic pain, or spinal stenosis is present. This is due to the fact that joints are not placed in a position that places a large amount of compression or stress on them and can be easily adjusted by the mother to increase her comfort level. Also, when in this position, a woman is more amenable to manual prompting by birth attendants to contract abdominal musculature and relax/contract the pelvic floor to aid with pushing. Lastly, Soong (2002) showed that when giving birth in the quadruped position, a woman may have less need for perineal suturing when compared to the dorsal lithotomy position. 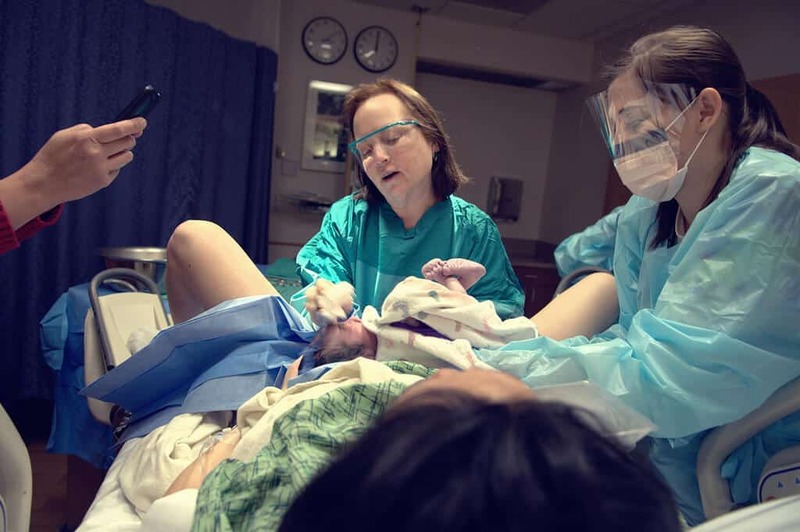 With a sample size of 3,756 women who had a spontaneous vaginal delivery, 61% of those giving birth in the hands and knees position had intact perineums. Read the full article HERE.